AMD’s upcoming Radeon R9 380X graphics card which will presumably feature the Tonga GPU core has been spotted by Expreview. The Radeon R9 380X has long been rumored to launch in the Radeon 300 series lineup and has been a mystery since the arrival of the first Tonga based graphics card, the Radeon R9 285, which was based on a cut out Tonga chip. 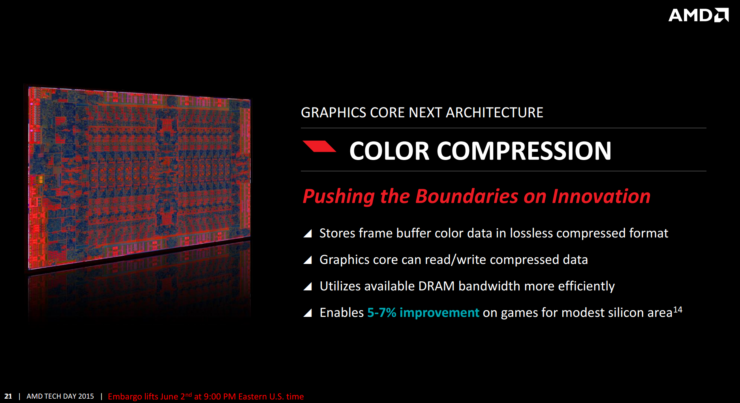 The AMD Radeon R9 380X is believed to be based on the Tonga XT core and there’s a good reason to believe so. 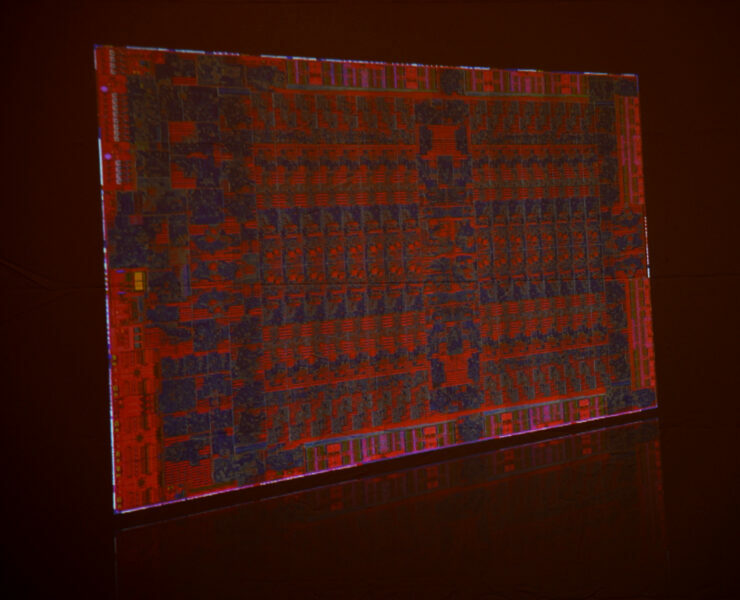 In 2014, just a month before NVIDIA announced their Maxwell based GeForce 900 series cards, AMD made the announcement for their Radeon R9 285 graphics card. The Radeon R9 285 was the first graphics card to feature the GCN 1.2 core architecture with key architecture improvements that would go on to form the high-end Fiji graphics core. The Radeon R9 285 was based on a cut down architecture which meant that the full GPU was reserved for a later launch. The Radeon R9 285 had 1792 stream processors and a 256-bit bus with 4 GB of GDDR5 VRAM. The full Tonga XT variant did launch but not for the desktop market but instead, it got featured on the Radeon R9 M295X mobility graphics chip which was housed on the Apple iMac. The Radeon R9 M395X that is currently available also uses the same chip design with 2048 stream processors, 128 TMUs and 32 ROPs since it’s a rebrand but we haven’t seen the full Tonga chip in action on the desktop discrete GPU market yet. 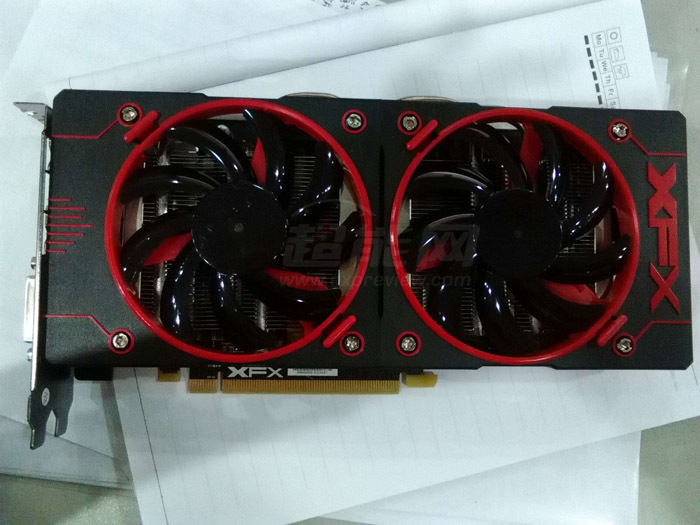 The card revealed by Chinese sources is allegedly the first Radeon R9 380X from AMD’s AIB partner, XFX. The XFX Radeon R9 380X Double Dissipation as it would be known has a slight resemblance to the XFX Radeon R9 380 Double Dissipation which is already available in the market but there are key changes to the design when comparing the cooler shrouds of both cards. The Radeon R9 380X has a red and black color scheme compared to the black and silver color scheme on the XFX Radeon R9 380 Double Dissipation and the new model also has a more lengthier cooler shroud but houses the same number of fans and the same heatsink solution beneath the heatsink. A special XFX logo can also be seen on the side of the shroud that will lit up when the card’s under operation. Now the more interesting details are that while the cooler is slightly modified, the PCB is in fact the same one which was featured on the R9 380. 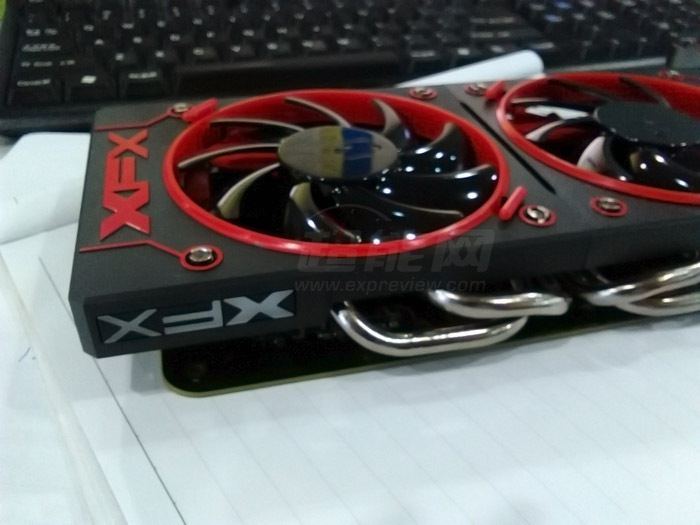 XFX is using the PCB model 140530HJ for both the Radeon R9 380 and the Radeon R9 380X. The card is powered by two 6-Pin power connectors and from the looks of it, the memory and power design of the PCB remains unchanged. Now here’s the thing, the Tonga XT die shots revealed that the GPU comes with a 384-bit memory controller however the Radeon R9 M295X which uses the full Tonga XT chip is limited to a 256-bit bus. 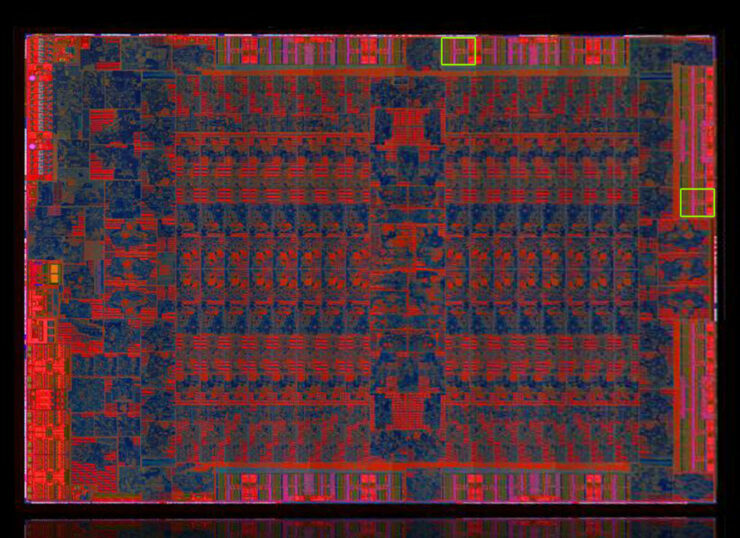 Since the Radeon R9 380 already has a 4 GB memory featured across a 256-bit bus, it would make sense to reuse the PCB and just equip the full blown Tonga XT SKU (256-bit bus) on the current R9 285/380 PCBs rather than switching to a newer PCB that makes use of 384-bit memory interface, especially when AMD has put a lot of focus towards color compression technology to effectively utilize the available band width. The Radeon R9 380 also comes with a TDP of 190W and a full blown Tonga XT chip will have a total TDP of around 200-225W which falls under the line of the new graphics card. The source believes that there’s a small possibility that the card can be based on the aging Tahiti XT core as we already saw Pitcairn XT on the Radeon R9 370X. 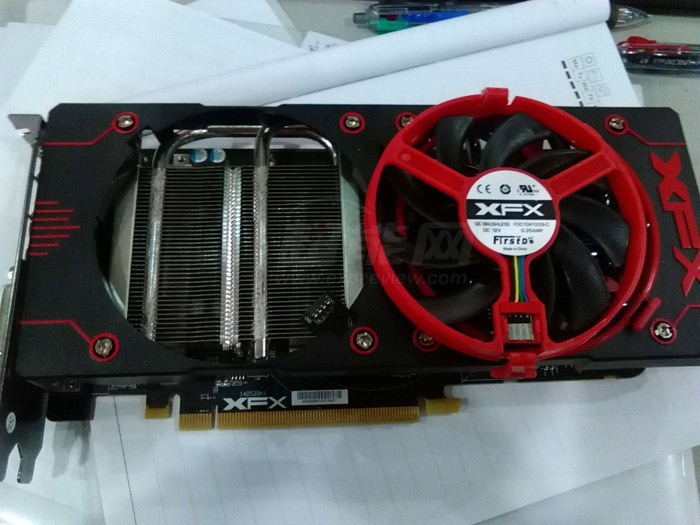 The Radeon R9 370X was aimed specifically at the APAC market while this card is likely to hit global retail channels. I don’t believe that is true since the PCB model matches the one used already on Radeon R9 380 and there’s the absence of Crossfire goldfingers since Tonga and new chips use XDMA crossfire technology. Display adapters on the new card will include Dual DVI, HDMI and a full length display port. The card will retail around $249 US whenever it launches but given the production quality of the XFX model, I would say that we would see more information about the card very soon.